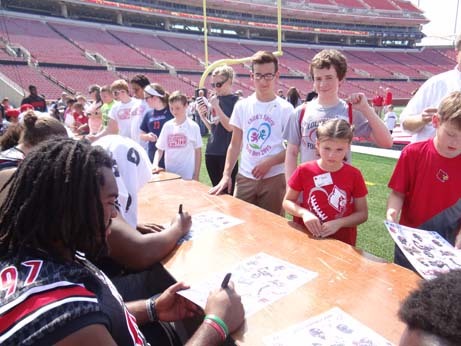 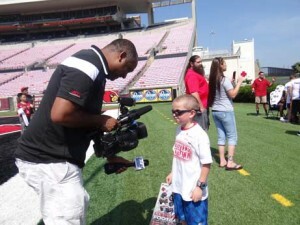 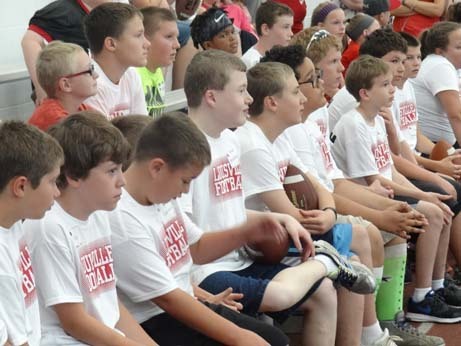 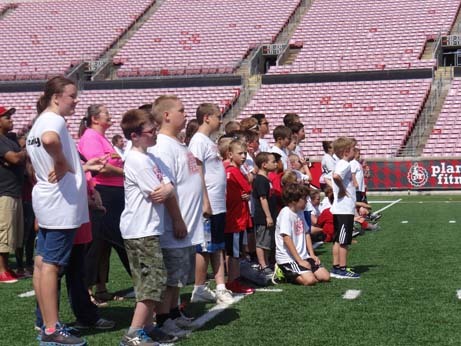 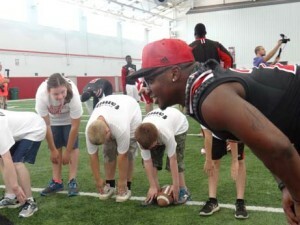 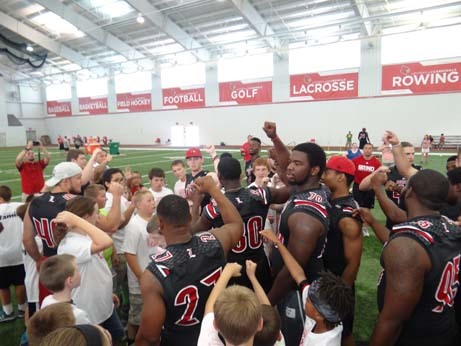 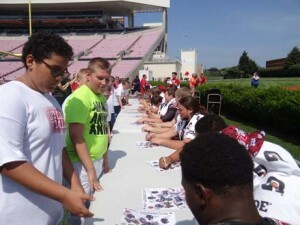 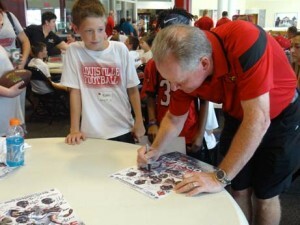 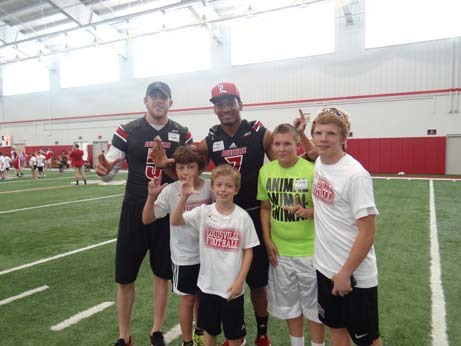 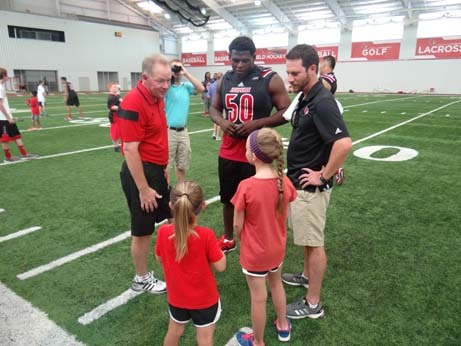 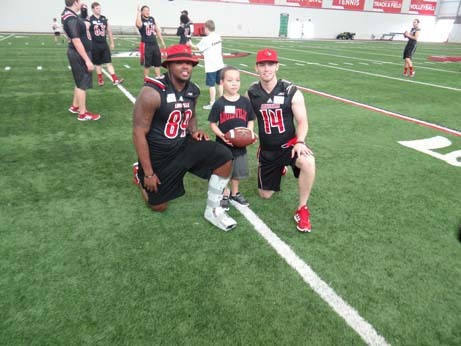 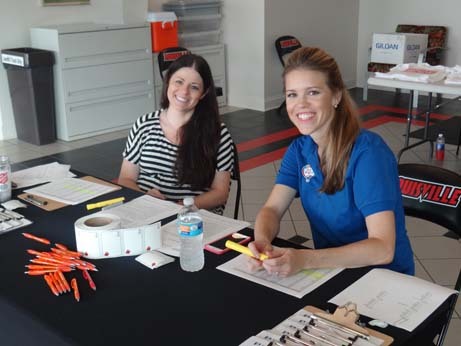 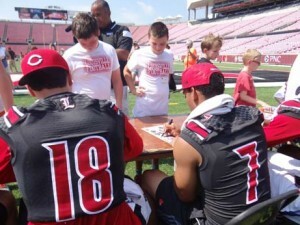 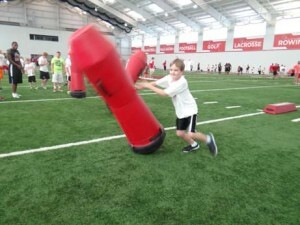 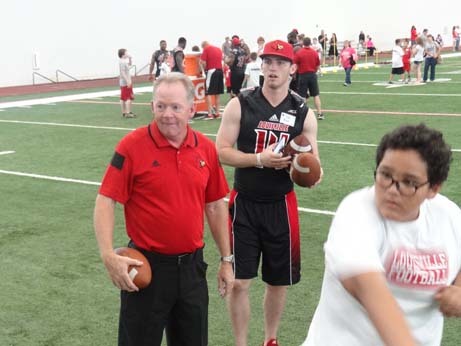 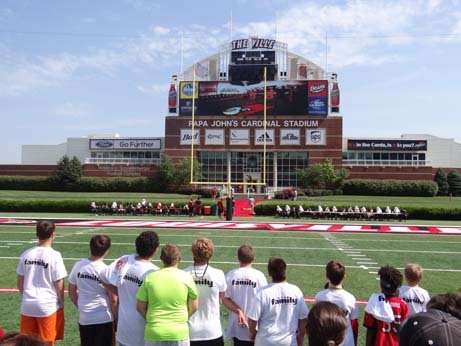 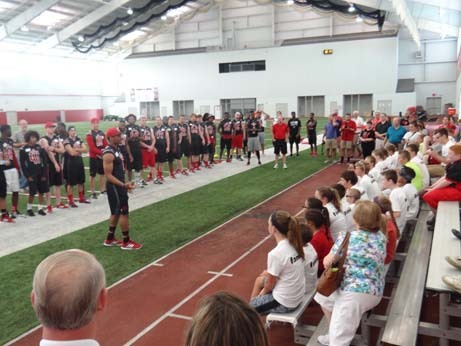 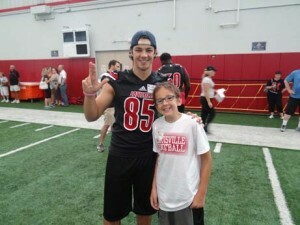 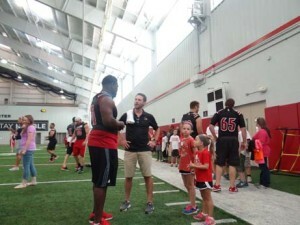 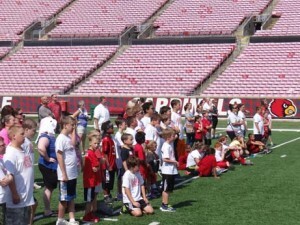 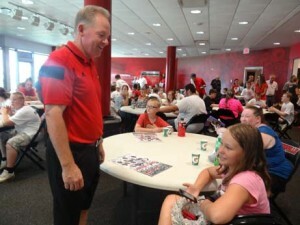 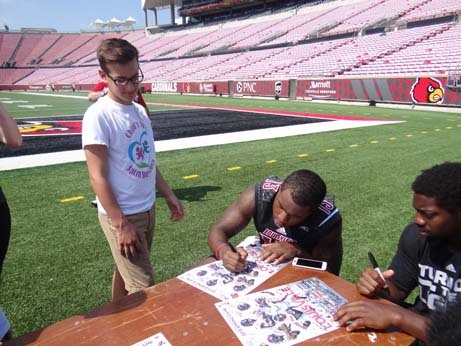 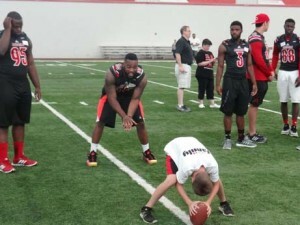 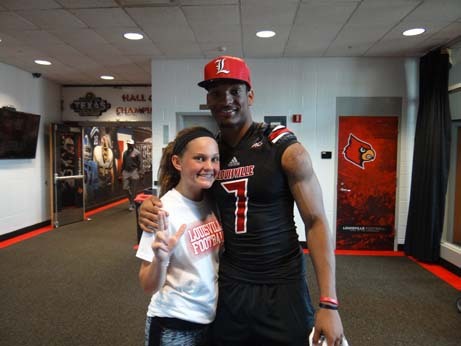 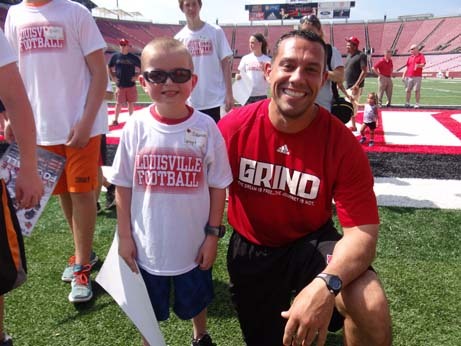 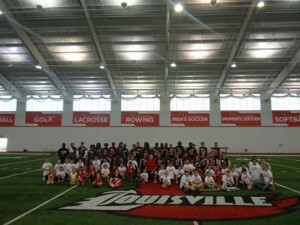 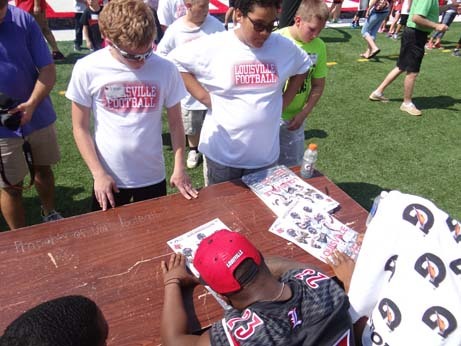 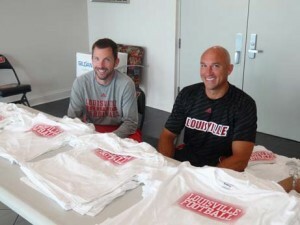 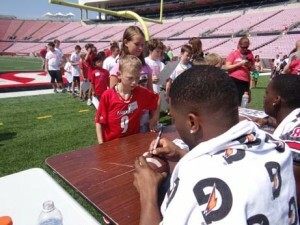 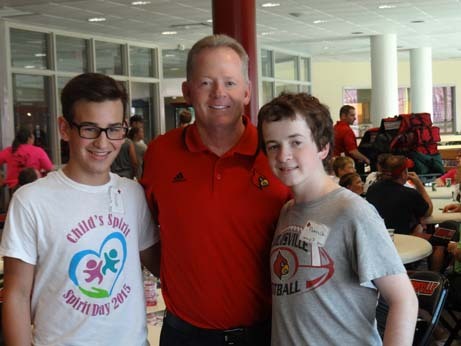 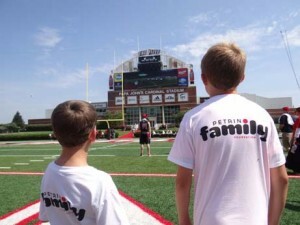 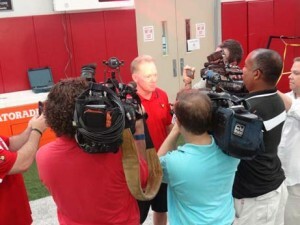 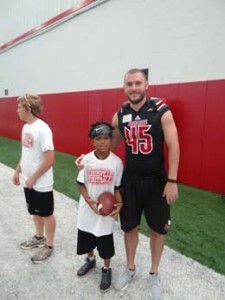 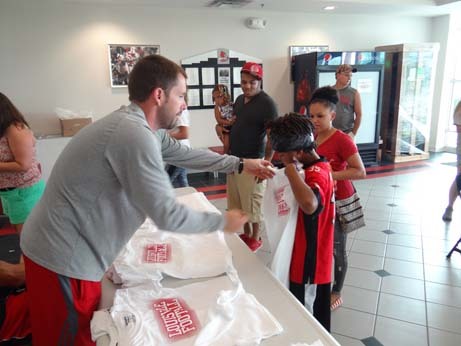 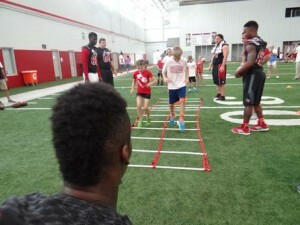 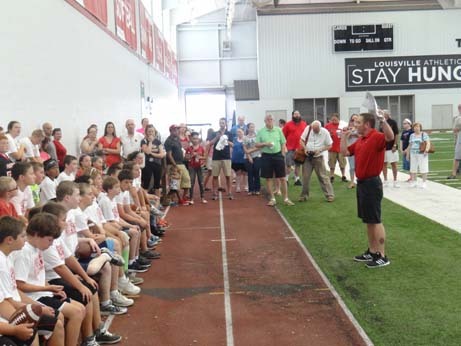 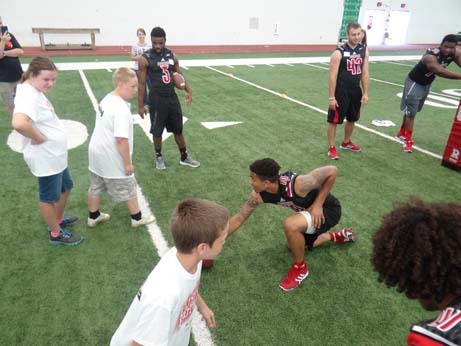 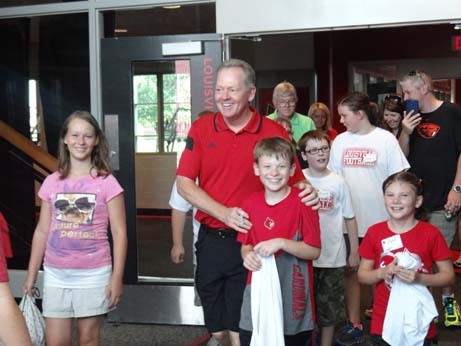 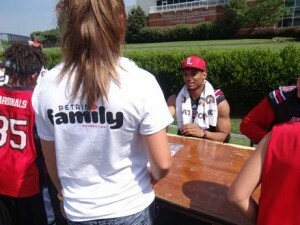 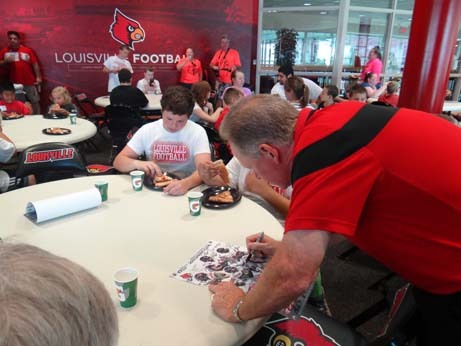 The Petrino Family Foundation, Coach Petrino and the University of Louisville Football Team hosted the “Just for Kids” Football Clinic. 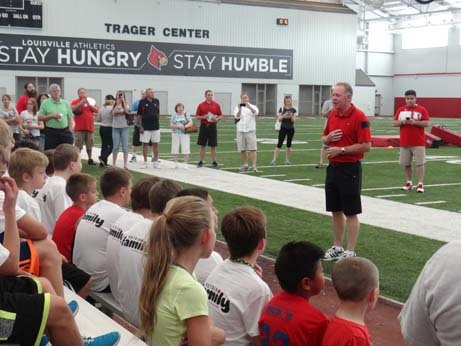 Saturday, July 18, 2015 at the Trager Indoor Facility. This football clinic was provided for the youth ages 6 to 18 who have been treated for cancer or a congenital heart condition at Kosair Children’s Hospital. 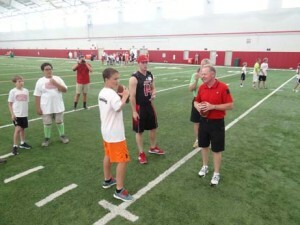 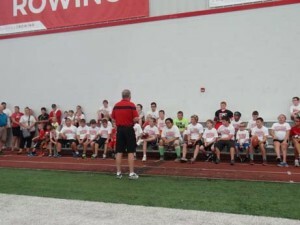 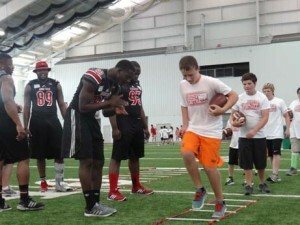 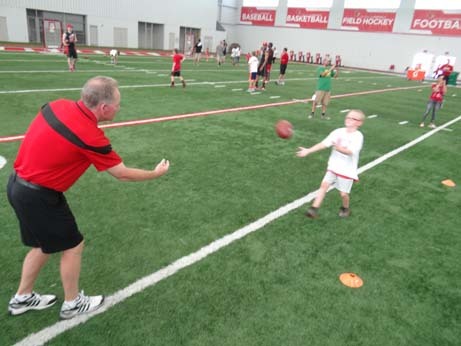 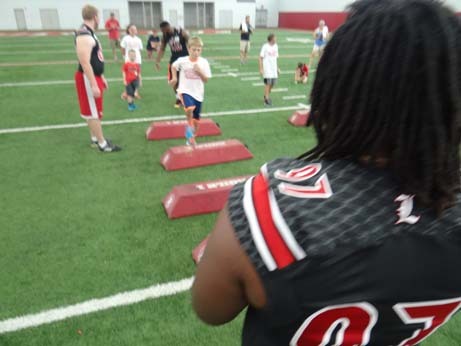 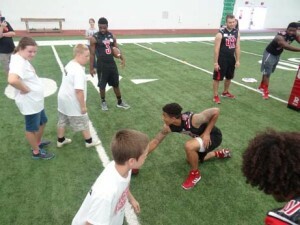 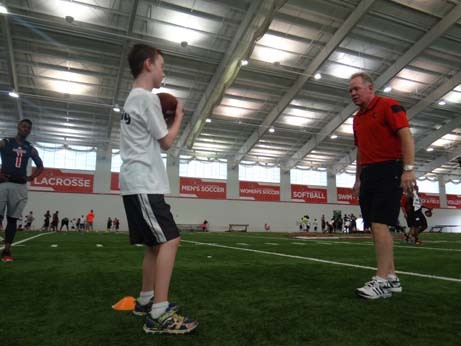 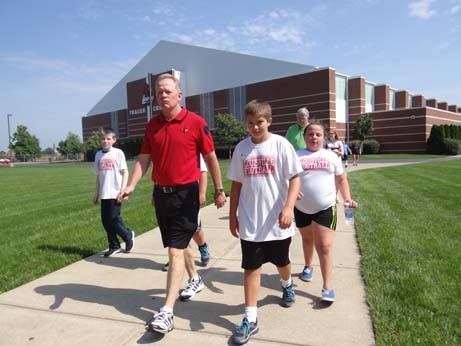 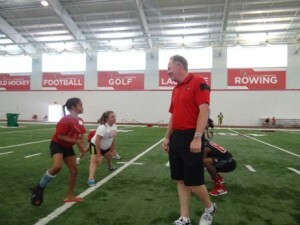 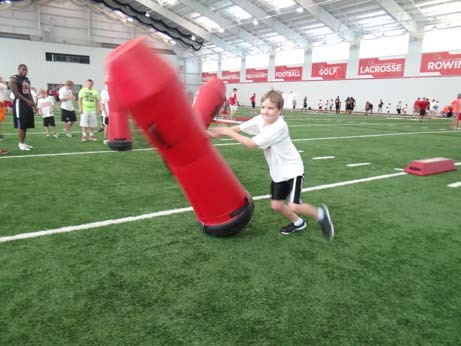 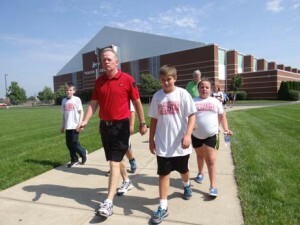 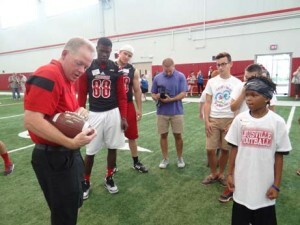 Coach Petrino and his team guided participants through interactive football drills and routines.